What Education Do You Need to Be a Medical Assistant? Speedy Medical Assisting programs are one great benefit, as they can typically be completed in a short amount of time (often in as little as one year). If you are interested in a healthcare career but lack the interest or time required to obtain an advanced degree, Medical Assisting could be a great choice for you! Because Medical Assisting programs do not require as much time as other healthcare professions, successful graduates will be able to enter the job market in less than a year. 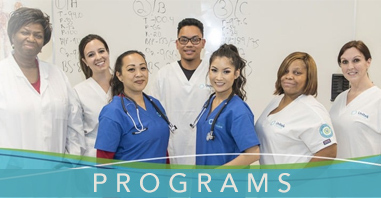 For example, Unitek College has built a 9-month Medical Assisting curriculum that combines classroom learning with clinical, hands-on experience to provide students with the knowledge and skillset they’ll need to obtain meaningful employment after graduation. 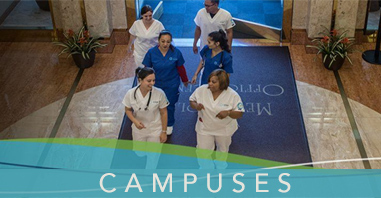 Unitek College also understands that being a qualified Medical Assistant is not enough. A true professional needs to know how to market themselves in a competitive job market, with top notch application materials, a clear idea of the type of environment they want to work in, and a strategy to help them get there. When the time comes to search for a job, having successfully completed a Medical Assisting program will help you tremendously. For one, you will be able to include clinical experiences on your resume. It is difficult to get a Medical Assisting job with little exposure to patients. Medical Assisting programs typically provide you with hands-on exposure to patients that will help you promote yourself and demonstrate competency during job interviews. Some individuals use Medical Assisting as a “stepping stone” to reach their ultimate goal of becoming a nurse or another healthcare professional. Medical Assisting allows individuals who are interested in healthcare to gain real experience working alongside doctors. It can also allow them to acquire the necessary clinical hours to apply for more rigorous programs. Regardless of your long-term career goals, Medical Assisting is an exciting field that offers opportunities for personal and professional growth. https://www.unitekcollege.edu/wp-content/uploads/2018/07/what-education-do-you-need-to-be-a-medical-assistant.jpg 420 850 Alyssa Jordan https://www.unitekcollege.edu/wp-content/uploads/2017/07/unitek-college-logo-01.svg Alyssa Jordan2018-07-31 05:02:202018-07-30 21:25:55What Education Do You Need to Be a Medical Assistant?